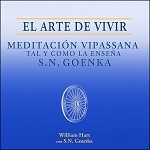 For more information on courses in Vipassana Meditation as taught by S.N. 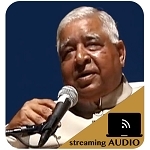 Goenka, please visit www.dhamma.org. Many of the products below are intended for those who have completed a 10-day Vipassana course as taught by S.N. Goenka (i.e. Old Students). Please note, Pariyatti is not officially affiliated with the Vipassana organization. It is a separate non-profit organization. Learn more here. Las publicaciones gratuitas en español se encuentran disponibles para su descarga en la página en español para estudiantes antiguos. This material is for personal use only. Please respect the copyright of the Vipassana Research Institute. Experience has taught us that unless there is an assertion of copyright, some people will take Goenkaji's writings and recordings and use them for their own gain. By maintaining the copyright we are helping to protect the integrity of the Vipassana technique, because only those who have actually completed a ten-day course will be able to properly utilize the instructions.